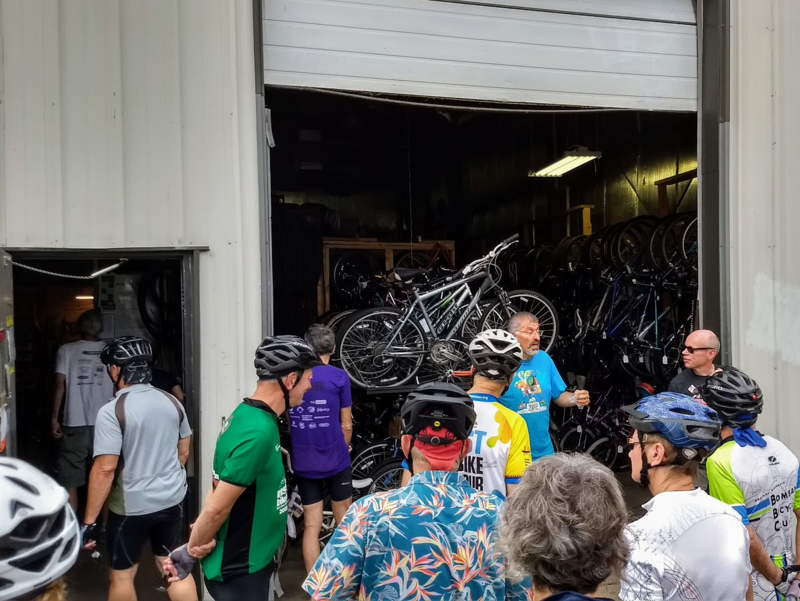 We had a great ride last week with Bombay Bicycle Club that brought in a lot of donations for Wheels for Winners, a non-profit that refurbishes donated bikes and gives them out to local youth who have done community service. Check them out online and consider getting involved or donating! Also last week, the Tenney-Lapham Neighborhood Association Steering Team finalized recommendations for improvements on and along the Mifflin Street Bike Boulevard. These recommendations will be going to the TLNA board and then on to the city for review and implementation. As the end of summer takes hold, Mondays mean Mondays Around Monona. And then at 7:00, the Madison Bikes Events Committee will meet at Cafe Domestique to finalize plans for our Annual Party on (Tuesday, September 12th). Anyone interested in volunteering is encouraged to attend. On Tuesday, Madison’s Pedestrian/Bicycle/Motor Vehicle Commission holds its monthly meeting. On the agenda are some major road projects including: Blair/Nolen, the Public Market and E. Johnson/First Streets, and Buckeye Road. You can attend in person at the City County Building or watch online on Madison’s City Channel. Also on Tuesday, is an important public hearing on some major projects in Fitchburg that need support. Check out Bike Fitchburg’s action alert for all the details. On Wednesday, Middleton takes it’s turn and will hold it’s monthly bike infrastructure meeting at city hall. Edit: The Middleton bike meeting has been moved to next week. Thursday through Sunday would be a great time to grab your friends and family and pedal down to the Orton Park Fest for music and food in support of the Marquette Neighborhood Association.